Yesterday, I started a discussion of how to use “contest karate” to win medals at homebrew contests. 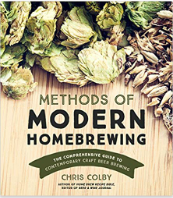 And, I gave the two most obvious pieces of advice — brew high-quality beer and brew as many entries as you can manage. Today, let’s begin to delve into some slightly less obvious aspects. Keep in mind that nothing in this article is the equivalent of a knock-out blow that works every time under every circumstance. Rather, this is a set of advice that — if heeded — puts you in a position where you have a better opportunity to seize victory. First and foremost, give the judges what they want. If you’re going to submit an American Amber Ale, don’t submit your unique, off-the-wall reinterpretation of the style. Read the style guidelines and brew the beer described there — or, as I’ll discuss later, a slightly bigger caricature of that beer. Don’t fight a battle you can’t win — if you’re brewing beer for the purposes of entering it in a contest, brew for the judges, not for your own personal tastes. Somewhere in Sun Tzu’s book, which I’ve skimmed but haven’t actually read yet, he discusses knowing your enemy. 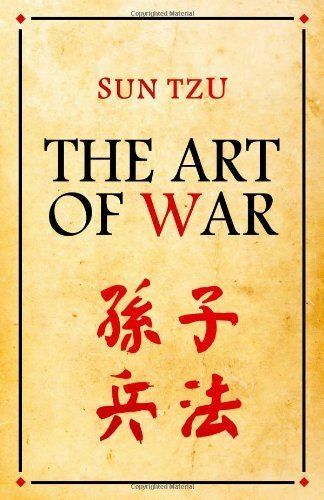 If you’re going to war, the best weapon you can possess is knowledge. And lucky you — if you enter a BJCP contest, nearly everything you need to know about your enemy is spelled out right in the style guidelines. Entries that have a shot at winning will match the guidelines closely, in addition to being quality beers. So, how do you put this knowledge to use? When you brew your contest beers, don’t just think about making them the best they can be — think about what will make them stand out in a flight of similar beers. In a flight of hoppy beers, the hoppiest will stand out. In a flight of strong beers, the strongest will stand out. In a flight of smoked beers, the smokiest will stand out. And so on. In addition, when judges tackle large flights, palate fatigue sets in and flavors and aroma common to all the beers will be less distinct. In a flight of IPAs with bitternesses in the 70-IBU range, a 60-IBU beer will not taste bitter at all. In addition, depending on the judges and competition, alcohol may start to impair a judge’s senses. So essentially, brew your beer so that a drunk judge with a ruined palate can pick it out of a lineup. For some beer styles, it’s relatively easy to pick out “the thing” that will set your beer apart. Hops in a hoppy beer style is an easy call. In other styles — especially those that are meant to be balanced in most or all respects — it’s harder to tell. In general though, making the beer a little stronger, a little more full-bodied, and a little hoppier will make a beer stand out in a lineup. (And there’s one other important element I am going to discuss later.) The key here is “a little.” If your beer is completely out of step with the style guidelines, the judges may notice. So overdo it, but overdo the overdoing of it. One serious drawback to this approach is this — if your beer is one of the first few judged, and you’ve overdone one or more elements to make it stand out — the judges may determine that it is not to style or a beer entered in the wrong category. However, you can influence when in the flight your beer is judged. When contests accept entries, they number them as they arrive and flights are usually judged in numerical order (unless there is some compelling reason not to). If you want your beer to be judged late in a flight, send your entries so they arrive right at the entry deadline. Of course, for a lot of reasons, a lot of entries will be coming in right at the buzzer. So, your beer may still be in the early part of the judging flight. But it’s worth a shot. Conversely, if your contest entry is “right down the middle” of the style guidelines — brewed well, but sure to be overshadowed by stronger or hoppier examples — submit your entries as early as possible in the hopes it is judged early in the flight, before palate fatigue sets in. I’ll continue this discussion tomorrow with some time-honored strategies as well as at least one consideration that seemingly few contest entrants consider. Are there styles to be avoided at contest? I ask because I can’t remember anyone winning with a dobble bock in years. Anyone else out there not enter competitions for exactly this reason?